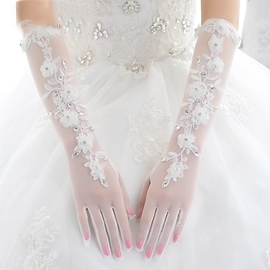 You don't need to search for an online store to buy bridal gloves because this store will offer you whatever you need. 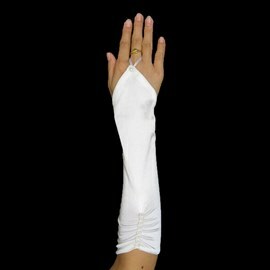 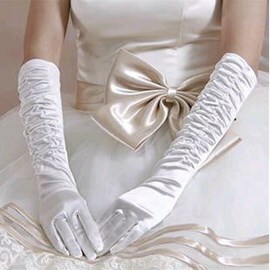 Wedding gloves for sale on Ericdress.com are fashionable and comfortable. 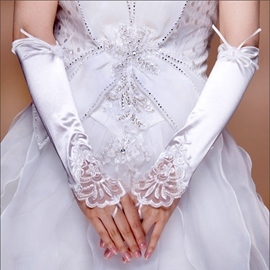 They are made of snug fabrics. 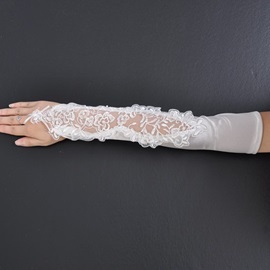 Together with fine workmanship, they are ensured to be durable and exquisite. 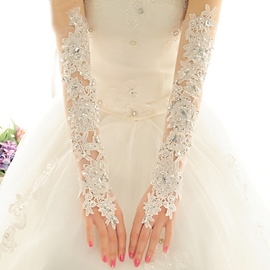 They come in numerous designs, short or long, simple or sophisticated. 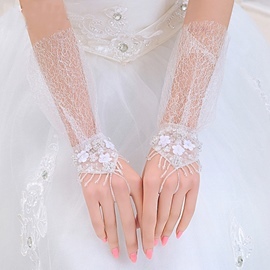 The most popular lace wedding gloves are also available to you. 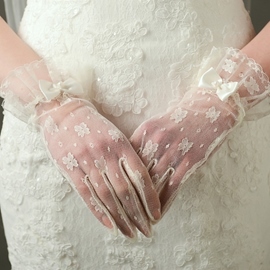 Moreover, all of our wedding gloves are for sale at acceptable and reasonable prices.